GET YOUR “VISION ON” FOR THE NEW YEAR! 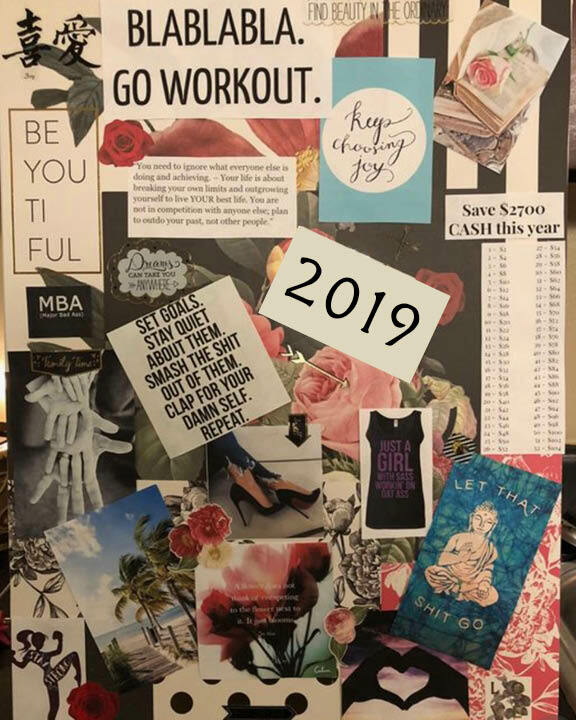 Art Box is kicking off the New Year with a powerful tool to help you accomplish your goals and dreams for 2019! Join us as we hold the space for you to create your own personal Vision Board — a positive and inspirational way to activate the law of attraction in your life by inviting in the resources and circumstances necessary for you to see your goals and dreams come to fruition. Once you have signed up, we will be emailing you a short, but fun “to do” list so that you can begin to prepare for your own personal journey and help to empower the creative process. The next step will be participating in the class itself! We will begin by clearing the space with a short ceremony where we will invite your higher powers to guide you thoughtfully through the act of creating your board on a 16”x20” stretched canvas — perfect for hanging in just the right spot in your home or office - or anywhere you’d like! Art Box encourages you to bring in personal items, words or sayings that have significant meaning for you, but will also supply inspirational objects and a variety of artist materials for your use during the class. Class is $20 per person and includes all tools, materials and instruction.